Exterior view of Winthrop Hall, looking northwest. 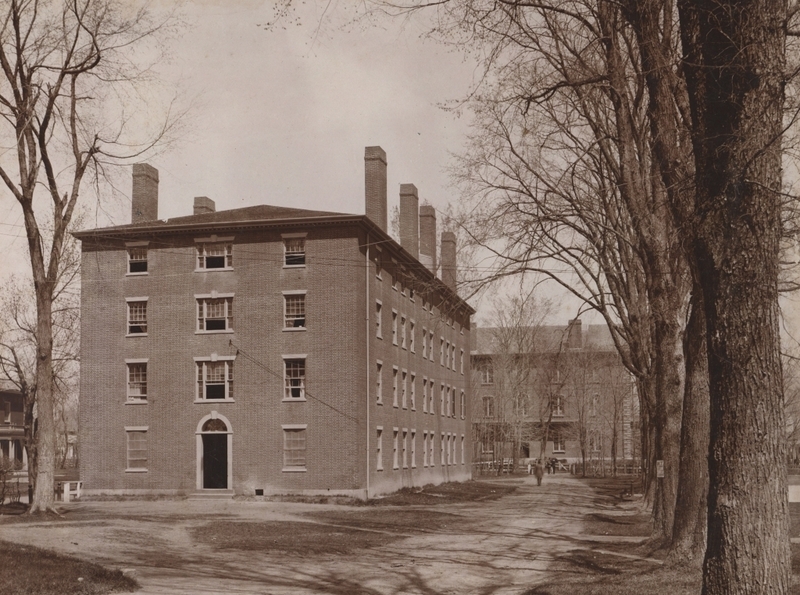 Adams Hall shown in the background and the east facade entrance of Massachusetts Hall is shown to the center left. People in the distance.